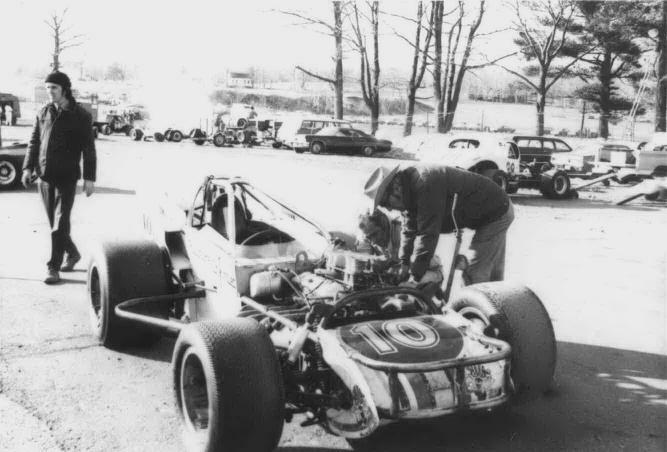 1973, I think, at the Thompson (CT) Speedway. Ron Wallace and Nolan Swift looking at the ex-10 pins car. Classic shot of Nolan in his cowboy hat! From the archives of Tom Robichaud. Thanks to Kenneth Welsh. Thanks to Bill Gilman.